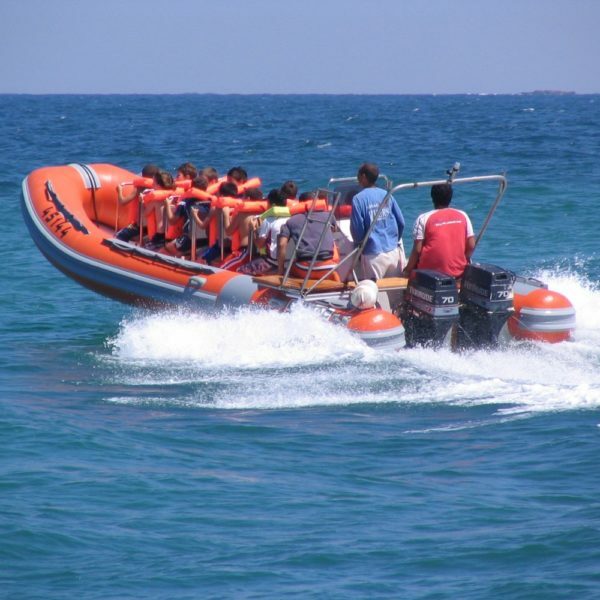 Though they may not know it yet, people who embark on a fast boat excursion, a diving or a fishing session, are better off in the hands of Putsker: the diving, fishing and marine activity club of Yair and Einat Yam (Sea). No, they did not change their last name to fit the circumstances; Yam has always been their family name. ‘Putsker’ have made it their goal to provide their customers with the very best service in the field. “Regarding all professional and safety aspects we make no compromises. Only the very best is applied”, Yair and Einat emphasize, “that is why we are still here for the long run”. And indeed, though nearing the 20th (!) anniversary to its establishment, at Putsker they do not rest on their laurels. If in the past the main focus was the diving club (introductory diving, diving courses, refreshment diving and diving excursions); currently the professional on-site store has earned itself a reputation (fishing, diving and swimming gear, alongside a repairs workshop and secondhand gear) – as did of course the fast boat excursions that visitors and their friends talk about long after their breathing goes back to normal. Additional information about tour routes may be found on the home website. Those who do not board one of the Tornado boats can wait ashore and enjoy in the meantime some beer, a light beverage, coffee or ice cream, in the shaded complex built by Yair. The place also comprises restrooms and showers. Parking is available in abundance. Before it became the name of the club, ‘Putsker’ was Yair’s nickname. Yair grew up near the coastline of Netanya and decided to cast his anchor in his place of origin. Einat who was born in Rosh Hanikrah is also extremely familiar with the sea. Shahaf (seagull), Almog (coral) and Ofek (horizon) are the next generation of the Yam family. As you may have already gathered, bonny, the club’s dog is also required to master the basics of diving and fishing at an operational level. 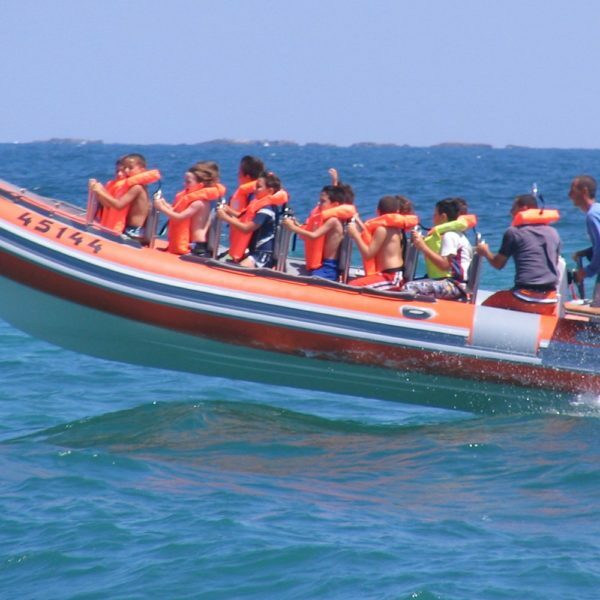 As part of Putsker’s activity, Yair travels with diving and fishing groups on a month long safari in Thailand; and every summer a similar safari is organized in the Cyprus area. Einat recently returned from the Queen of the Desert journey in India. Not an easy feat. During the last ten years Putsker center operations have been carried out from its current winning location on the northern borderline of the city. Recently a new diving site was inaugurated and named ‘Nitzan’: “a fishing boat that we sank and adapted so that divers can dive inside it. It’s an incredible experience”. They also took part in the commemoration project of the Shayetet (flotilla) Disaster (11 navy commandos killed in an ambush). With Putsker’s professionalism, service, safety and heritage, one would definitely want to be in their hands. Wouldn’t you?